Watters Plumbing, Heating and Oil Company was established in 1960 by Harold Watters providing plumbing and heating repair and replacement services as well as oil delivery services. Harold’s son, Cal Watters, purchased the plumbing portion of the business from his father in 1981 and the company became Watters Plumbing, Inc. Within 2 years, Cal’s business grew exponentially and quickly became one of the largest, most recognized plumbing shops in northeast Wisconsin. In 2001 major renovations occurred; the building that once stood at 1303 Midway Road was demolished and a new 14,500 sq. ft., 2-story building was erected to house the new corporate offices, warehouses, and a 2,800 sq. ft. showroom. Shortly thereafter, a 6,000 sq. ft. building was erected on a parcel of land directly behind the current location to accommodate additional equipment and material. In 2003 Bell Electric, Inc. took on its own name. Still owned by Watters, operating in the same building, and with the same high quality of standards of its parent company, Bell Electric, Inc. began acquiring its own projects as well as continuing to assist in Watters projects. In 2013, Rick Felton purchased Bell Electric and continues to share space at Watters Plumbing and work closely with them on many joint projects. Soon Watters saw the need for a small remodeling division, not to compete with local contractors, but to handle the smaller bathroom jobs such as 1-day bath makeovers and tub-to-shower conversions using Luxury Bath Systems. People were so happy with the work that Watters remodeling provided, they began requesting us to handle entire bathroom remodeling projects, alleviating the need for them to coordinate other aspects of their projects such as flooring, tiling, and electrical themselves. Their wish was granted when we hired our own carpenters, tiling experts, and electricians as well as took on lines of flooring, vanities, tile, hardware, and more, making it a one stop shop for the homeowner’s bathroom remodeling projects. 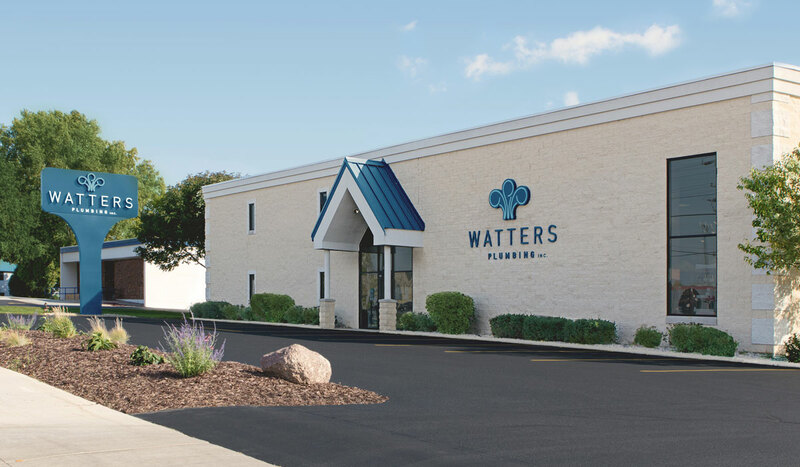 Today, we are proud of the Watters Plumbing name and we believe it has not only become a household name, but an icon in the plumbing and bath industries throughout northeast Wisconsin. We have many people to thank for our success; our clients, for trusting that we will do what we say we are going to do, when we say we are going to do it; our employees, for their passion and dedication to our clients, themselves, and to the company; And, most of all, we give thanks to God for teaching us how to be leaders by serving others with kind, courteous and compassionate services. We thank all of you for your continued friendship, business and support!